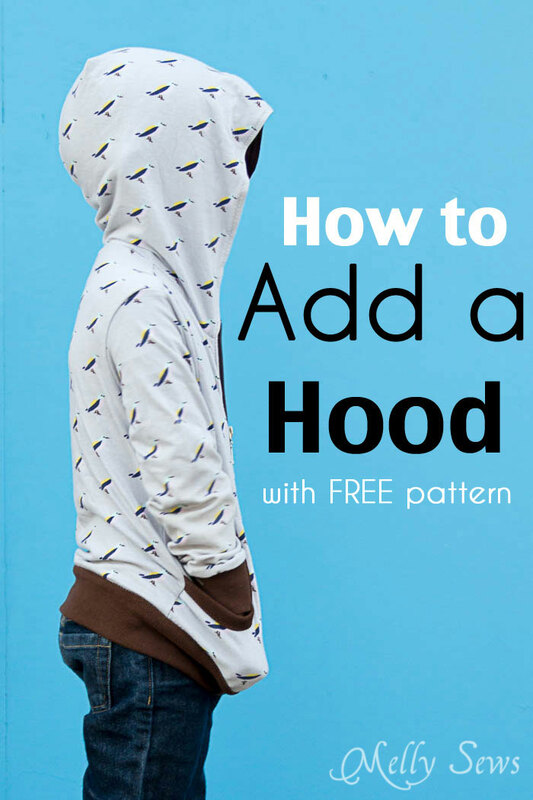 Hey y’all – today I’m going to show you how to add a hood to a jacket, and I’ve got a free hood pattern to share that you can use. Click here for the tutorial. Thank you, thank you, thank you! Just what I needed! Fantastic post. I have needed this for soooooooooooo long! YES YES YES!!! Now I can finally finish the jackets that didn’t make it to the end of the sew-along…! Thank you, this is awesome! I’m SO glad you have the hood pattern in adult and child sizes! Thank you for that. I had extra muslin lying around and I decided to make the hoodie out of the muslin first to see if I’d even like it. I usually never make a “practice garment” out of muslin first because I’m lazy and just want to jump right into the product, but for some reason I did that here. I used the hood pattern for the LADIES size small and once I finished realized it was too big and then made the size 7/8 kids size hood since that was the next smallest size hood pattern and thankfully that one fit my head better. Thank goodness I made the hoods out of muslin first or else I’d have wasted the nice leather fabric I’d bought!